Jim Abrams, a hotel industry leader and former CH&LA President, has joined JMBM’s Global Hospitality Group®. In addition to bringing decades of hotel experience and relationships to the team, he looks forward to contributing to the Group’s work on hotel management agreements, labor union and employment issues, and ADA issues, as well as expanding the Group’s capabilities in legislative and regulatory affairs. 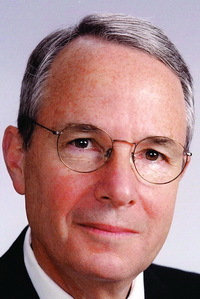 LOS ANGELES – January 15, 2009 – Former California Hotel & Lodging Association (CH&LA) President and CEO, James O. Abrams, has joined the internationally recognized Global Hospitality Group® of Jeffer Mangels Butler & Marmaro LLP (JMBM). He will dedicate his practice to hospitality law on a wide variety of legal, governmental and operational issues. From January 1991 through December 31, 2008, Abrams was President and CEO of the CH&LA. Prior to that, he was engaged in the private practice of law in San Francisco for 20 years, and was legal counsel to the Association for much of that time. Abrams has represented many owners and operators of hotels and other lodging establishments in a wide range of issues. He is the author of the book Laws Pertaining to the California Innkeeper (3rd rev. ed., 2002), which is published by the CH&LA, and is a frequent speaker and writer on all aspects of the law relating to the lodging industry. In his capacity as President & CEO of CH&LA, Abrams was responsible for, among many other things, management of the Association’s legislative and regulatory affairs programs. Abrams is an adjunct professor, teaching Hospitality Law and Human Resource Issues, in the Hospitality Industry Management Program at the University of San Francisco. He is also the recipient of the 2009 Anthony G. Marshall Hospitality Law Award. You can contact Jim Abrams at 415.398-9679 or jabrams@jmbm.com. This is Jim Butler, author of www.HotelLawBlog.com and hotel lawyer, signing off. We’ve done more than $87 billion of hotel transactions and more than 100 hotel mixed-used deals in the last 5 years alone. Who’s your hotel lawyer? Jim Butler is one of the top hospitality attorneys in the world. GOOGLE “hotel lawyer” or “hotel mixed-use” or “condo hotel lawyer” and you will see why. Jim devotes 100% of his practice to hospitality, representing hotel owners, developers and lenders. Jim leads JMBM’s Global Hospitality Group® — a team of 50 seasoned professionals with more than $87 billion of hotel transactional experience, involving more than 3,900 properties located around the globe. In the last 5 years alone, Jim and his team have assisted clients with more than 100 hotel mixed-use projects — frequently integrated with energizing lifestyle elements. Contact him at jbutler@jmbm.com or 310.201.3526. For his views on current industry issues, visit www.HotelLawBlog.com.